Based on our reviews, here is Texas Outside's list of the Best Austin Golf Courses and the Best Texas Hill Country Golf Courses. Austin and the Texas Hill Country have some of the best golf courses in Texas with rolling hills, lots of trees, scenic vistas, deer all over the place, beautiful homes, unique golf holes, and some excellent conditions. All of which make the Hill Country and Austin one of the best places to golf in Texas. Below is our list of the best golf courses in Austin and the Texas Hill Country which is based on our unbiased golf course reviews and ratings of all the Austin and Hill Country area golf courses (public, private, and resort golf courses) that we have played over the last several years. 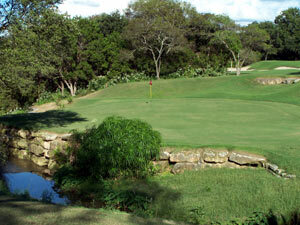 The Austin Golf Map will help you find these golf courses, as well as all of the other Austin Golf Courses. Speaking of the best, you might also take a look at the Best Public Courses in Texas, Best Private Courses in Texas, Best Resort Courses in Texas, and the Best of the Best in Texas.